They dared to fit three lightning talks on the topic of ‘nailing new business’ into a 30-minute slot at the Digital Gaggle conference. No big deal, right? Aside from the fact that it was a hella lot of content to get through in a short space of time and it was also James and Gertie’s first foray into public speaking at a digital marketing conference. With just eight minutes each to get through quite a hefty topic, I thought it’d be a good idea to give you a roundup of the key bits of information Gertie, James and Jon shared at the event. If you'd prefer, you can view their entire presentation here. 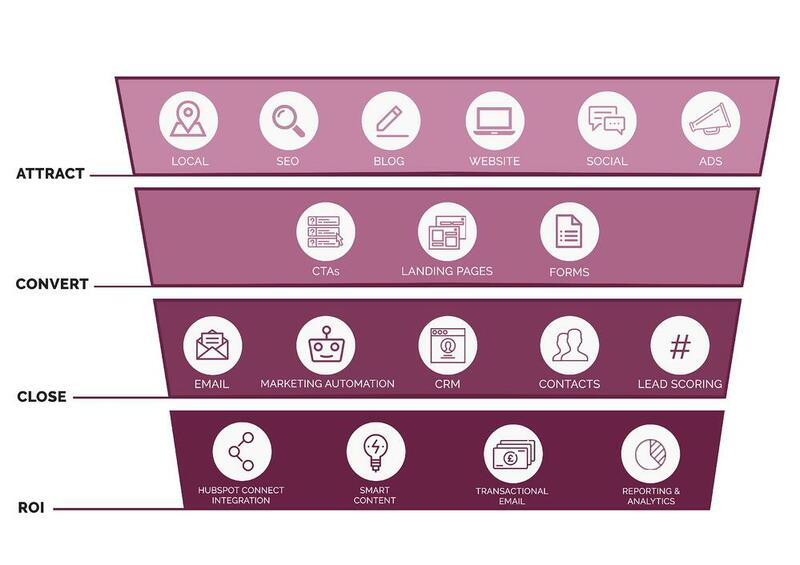 Each of the three lightning talks focused on either the ‘convert’ or ‘close’ section of the inbound marketing funnel (you might also know this as the sales funnel if you haven’t been indoctrinated by HubSpot yet). See handy image of funnel below. 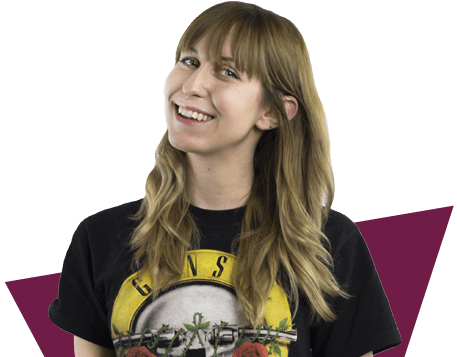 First up from the Noisy Little Monkey team was Gertie who talked about how to optimise landing pages and calls-to-action (CTAs) to convert more web visitors into juicy leads for your sales team. L - Less is more. Don't overcrowd your CTA with lots of text and images. A - Action-orientated text. Use phrases like "register now" to encourage immediate action. W - Who's it for? Before you start designing your CTA, think about the person who will be interacting with it - will it appeal to them? S - Striking (make it big and bold). Don't be shy - make sure your CTA is noticeable otherwise your visitors will scroll straight past it. Gertie reminded the audience to put their CTAs to the test. 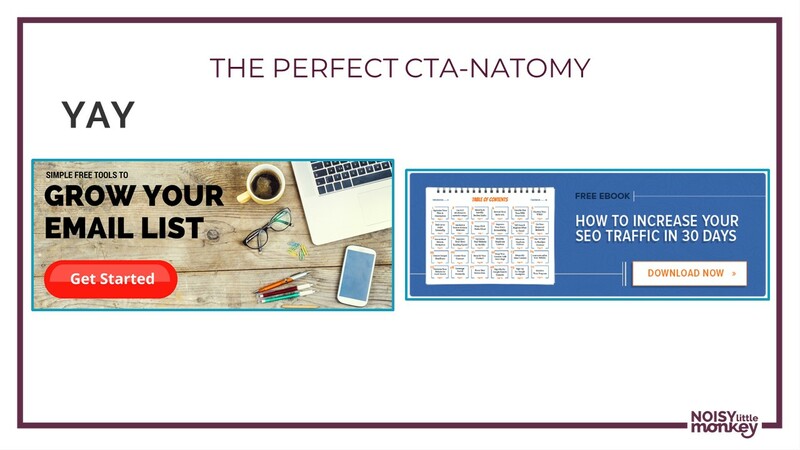 She recommended experimenting with the position of the CTA: do you want it to appear as a pop-up or would you prefer it to sit in the sidebar of your site? She also suggested testing out different colours to see if this would improve conversion rates. Once you’ve optimised your CTAs, it’s time to think about your landing pages (aka the page your visitors land on once they’ve clicked on your call-to-action). Let there be no distractions on your landing page. See that menu nav at the top there? GET RID OF IT. Make it trustworthy. Use testimonials and client logos on your landing page to indicate your credibility to your site visitors. Once your visitors have completed the action you wanted them to take on your landing page - thank them and tell them what to expect next. For example, if they have downloaded an e-book, will you be sending them an email? Let them know. You might also want to use your thank you page to signpost your visitors to some other useful content (and show them how awesome you are at what you do). Do you have a blog they might find useful? If they’ve been interested enough to download some content from you, why not encourage them to request a meeting with your sales team? 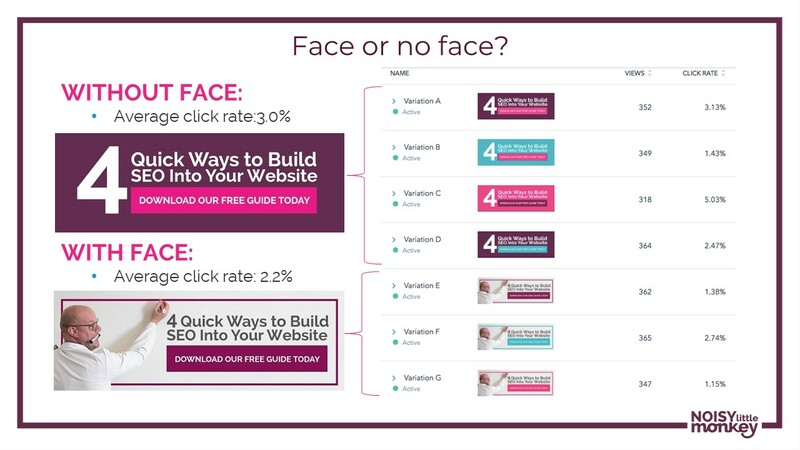 With CTAs and landing pages covered by Gertie, James’ talk set out to show the audience how they could nurture more of their leads through the inbound marketing funnel. How do you fix this? You do it with lead nurturing workflows. 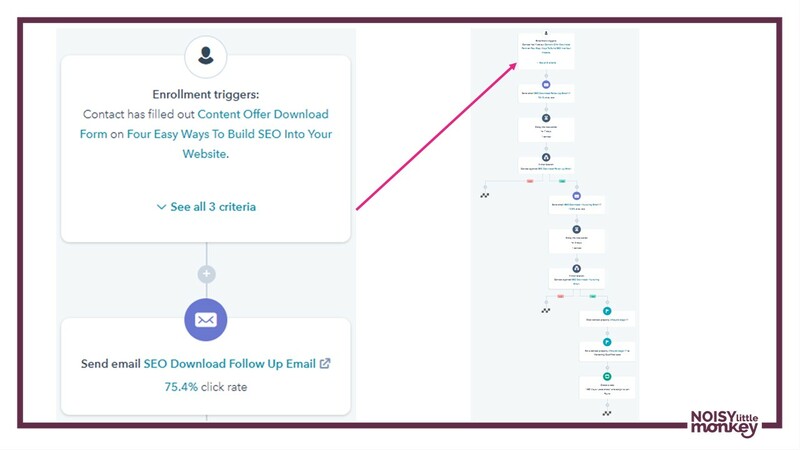 If you’re not sure what a lead nurturing workflow is, it’s essentially a series of emails designed to lead your prospect through the inbound marketing funnel and keep them engaged with your business until they are ready to buy. Lead nurturing workflows are an absolute godsend for your sales team because it means that they spend less time faffing around with people who are not yet ready to buy (yes, faffing around is the technical term). You can use all sorts of marketing automation tools to create email workflows and qualify leads but at Noisy Little Monkey, we prefer to use HubSpot. HubSpot allows you to enrol prospects into email workflows based on a number of different criteria and behaviours. For example, you can enrol a contact into a workflow if they fill out a form on your site, download some content or view a specific page. The world is your oyster! So you’ve mastered the CTAs, landing pages and lead nurturing workflows. But what about closing those marketing leads into actual sales? Jon’s lightning talk (and the final talk of Noisy Little Monkey’s 30-minute session) provided delegates with some tricks they could use in email to convert more leads into ca$h money. So concise were Jon’s tips that I’ve listed them out in a straightforward fashion for you below. Pens at the ready! 1. Have a game plan for your sales strategy. Who is handling which parts of your sales process? Make sure that your leads - who are expecting to hear from you - aren’t sat around not being dealt with. 2. Stop talking about yourself. Quit using words like “I” and “my”. No-one cares about your agenda! It should be all about the lead, so start using words like “you” instead. When sending an email to a sales lead, personalise the subject line with their first name - it’ll stick out in the inbox. You're welcome. 4. Ask a relevant question. Be direct and don’t skirt around the issue. If a lead hasn't got back to you, say something like, “did my email get buried?”, “do your web dev team have the time to deal with this?”. That way you know what the agenda is and your time isn’t wasted. 5. Give until it hurts. Be as helpful as possible to your leads. Send them links to free resources and helpful blog content - they’ll remember you for that. Get your leads to complete an action during the sales process. For example, get them to book a meeting in your diary. Add a little note to your email with something important in it. Their eyes will jump straight to it. Yes, there’s a caveat for this - don't be REALLY rude - but if you’ve sent a few emails with no response, don’t be afraid to be direct so you don’t waste any more time. Something like, “I can see I'm not a priority for you at the moment - ping me an email when you’re ready to increase your business’ revenue” will work a charm and prompt a response. Can you believe they squeezed all of that into just 30 minutes? Me neither! If you want to talk about how Noisy Little Monkey can implement the magic of inbound marketing for your business, just ping us a message by clicking the image below.